Unlike some politicians who’d grab the center of attention at a public event, shaking every hand within reach, Gov. David Ige was characteristically laid-back recently when he visited Maui for a senior housing groundbreaking ceremony in Pukalani and a visit to Kula Hospital. During the blessing for Hale Mahaolu’s 61-unit Ewalu project at Kulamalu, he blended in with the crowd. If he were not accompanied by beefy bodyguards and called forward to make a few remarks, he might have gone unnoticed. Recent polls have cast doubt on Ige’s chances for re-election, and Ige acknowledged that his administration has not done enough to publicize its successes. During an interview earlier this month with The Maui News at Kula Hospital, Ige was not shy about saying he is running for re-election as governor in 2018 and that he’s proud of his administration’s accomplishments. He pointed out that the annual “Point in Time” census of homeless people dropped for the first time in eight years — 9 percent, from 7,921 statewide in 2016 to 7,220 on Jan. 22. Census-takers asked homeless people where they slept on that date, giving the survey its “point in time.” Maui County’s homeless population fell 22 percent, from 1,145 to 896. 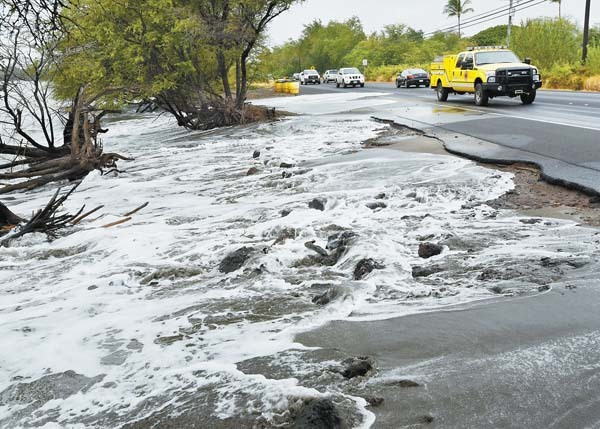 “So clearly, what we’ve been doing is making an impact,” Ige said. The state administration has focused on three areas, he said — making affordable housing available; providing mental health and substance abuse services; and keeping public spaces public. “We’ve made tremendous progress in the homelessness challenge,” he said. By starting to prefund the state’s health fund, “we’re saving taxpayers more than $1.5 billion over the next 20 years,” he said. Ige said his administration also has undertaken the “Sustainable Hawaii Initiative,” making Hawaii the “first and only state to commit to 100 percent clean energy.” And, Hawaii was the first state to align with the Paris Agreement, turning emissions goals to ease climate change into official state policy, which is contrary to the policy of President Donald Trump. 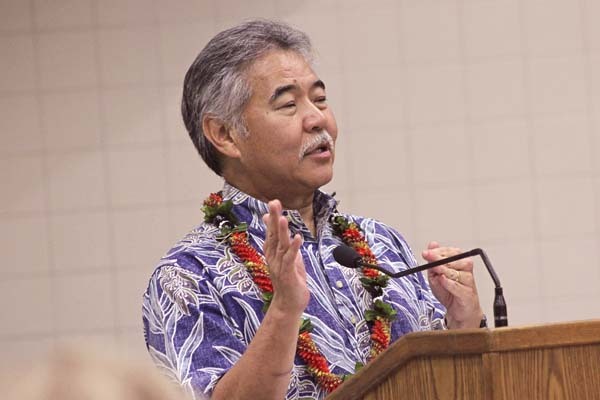 Ige appeared unruffled when asked about the perception of some Neighbor Islanders who see him as “Oahu-centric” and “out of touch” with their concerns. He noted that he was on Molokai recently for the first bill signing there, ever, for a Hawaiian homelands bill. “I have been engaged and visiting the Neighbor Islands have consumed a lot of time,” he said, also mentioning that he flew to Maui numerous times for meetings with hospital employees and physicians about the transfer of Maui Region hospitals, including Maui Memorial Medical Center, from the quasi-public Hawaii Health Systems Corp. to the private Kaiser subsidiary Maui Health System. The transfer of medical facilities to Kaiser’s Maui Health System “will provide quality and improved health care to the citizens of Maui County,” he said, adding that Kaiser will be able to leverage its resources to provide more health services on Maui, rather than requiring patients to travel to Oahu. When asked his opinion about Wailuku Rep. Joe Souki being deposed as speaker of the House and replaced by Oahu lawmaker Scott Saiki at the end of this year’s lawmaking session, Ige said he doesn’t think the change in leadership represents a shift of power to Oahu lawmakers. 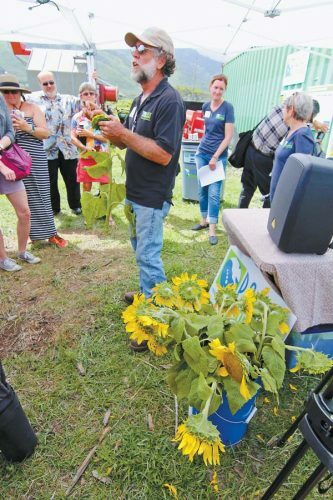 “One of the things that Neighbor Island representatives have been very good at at the state Capitol is to coalesce,” he said. Maui, Kauai and Big Island lawmakers meet and talk about legislative priorities for their communities, Ige said. Also, when asked about the perception that Lt. Gov. Shan Tsutsui, the former Central Maui Senate representative and Senate president, has been “sidelined” in the Ige administration, the governor indicated that Tsutsui is an important member of his Cabinet, and he’s not certain why some believe otherwise. Ige listed projects Tsutsui has worked on, although often behind the scenes. 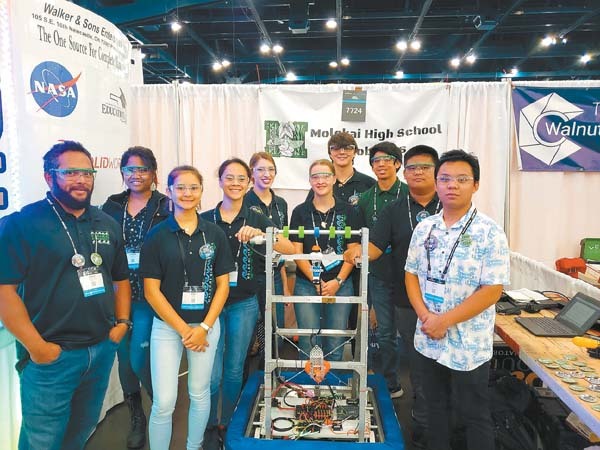 Those included working on finding a long-term solution for maintenance of Aloha Stadium. 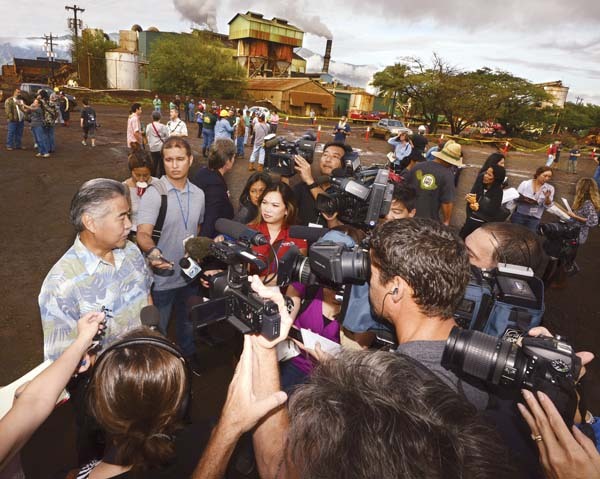 Tsutsui also was involved with the Maui County hospitals transfer and with getting relief for workers laid off with last year’s closure of Hawaiian Commercial & Sugar Co.
“So, he has been involved, but maybe it’s not as public as it might need to be,” he said. And, Tsutsui has young children, “which would make it even more of a challenge,” he said.